I Was An Unwitting Participant In A Bigfoot Scheme! 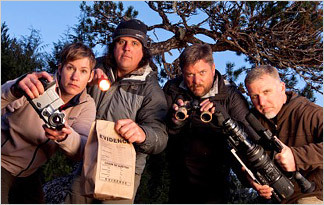 “Finding Bigfoot” gang: Ranae Holland, James “Bobo” Faye, Matt Moneymaker, Cliff Barakman. I’m not necessarily a Bigfoot believer. But I’ll admit to having tuned in to a few episodes of Animal Planet’s “Finding Bigfoot”. 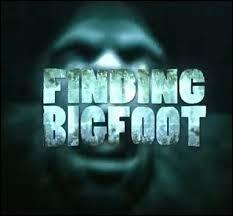 And I’ve noticed a common thread running through every episode: Bigfoot is never found. So I guess it would be fair to call me a Sasquatch skeptic. However, I have a couple of connections to the big hairy guy. – No, not James “Bobo” Fay, the big, hairy guy on the TV show. I mean the actual Bigfoot. Image from the Roger Patterson footage. I hale from Yakima, Washington, which is located in a dry, arid region on the east side of the Cascade Mountains. It lies fairly close to the foothills of those beautiful Cascades. Yakima looms large in Bigfoot lore. The infamous 57-second-long film which purports to show Bigfoot striding through a dry streambed in Northern California was made by Yakima’s own Roger Patterson, a character who has been described by some, especially his victims, as a “liar and a conman”. He shot the film sometime in 1967. The exact date the film was made is in dispute. In 1966, the late Mr. Patterson self-published a book entitled “Do Abominable Snowmen of America Really Exist?” And he sought to capture Bigfoot on film (or at least fake it well), and to make a documentary movie about the Bigfoot phenomenon. And to make – wait for it – money! 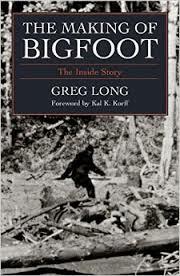 At least one book, “The Making Of Bigfoot: The Inside Story”, written by Greg Long, has been published about Roger Patterson, his Bigfoot scam, and the commotion and controversy he has caused for nearly 50 years. As a teenager, I attended West Valley High School, which is out in the sticks; it lies about seven miles west of Yakima. 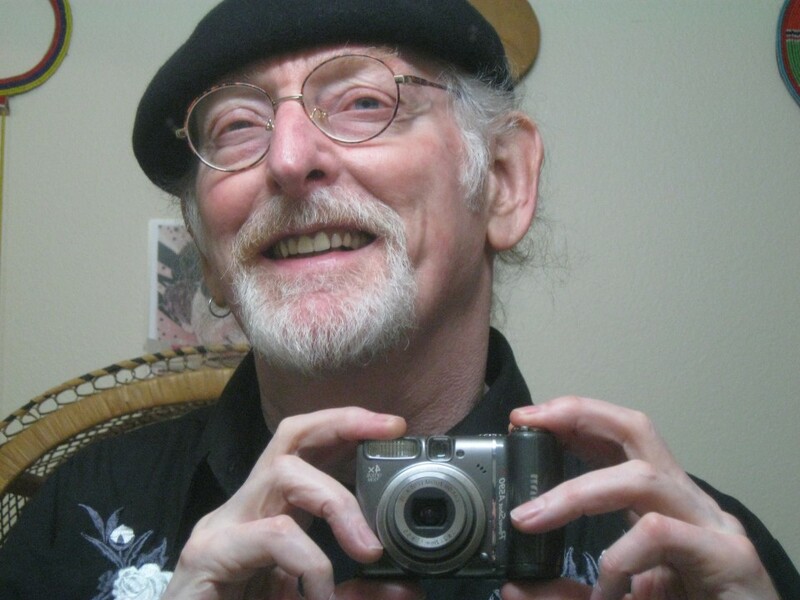 One of my 1967 graduating classmates was a country bumpkin named Ken Pettijohn. Around the time the Roger Patterson Bigfoot footage was foisted upon the public, young Mr. Pettijohn reported a Bigfoot sighting to our newspaper, the Yakima Herald-Republic. Ken claimed he was driving down a deserted West Valley lane, when a real live Bigfoot suddenly crossed the road in front of him. At the time, many of us who knew Ken simply figured he was drunk – just seeing things. But I’ve come to believe Ken Pettijohn was recruited to lie to the Herald-Republic reporter, in order to stir up publicity for the Patterson film. The Velvet Illusions with manager, George Radford, in Ellensburg, WA. 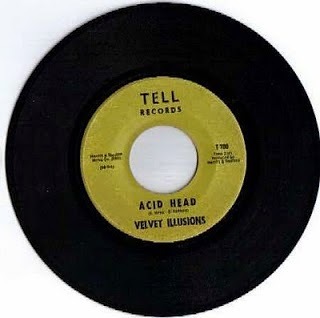 In 1966, I helped co-found a teen rock band, the Velvet Illusions, which over the years, has become legendary in record collecting circles. Our music can be found on numerous compilation LP’s and CD’s. And I do mean numerous. 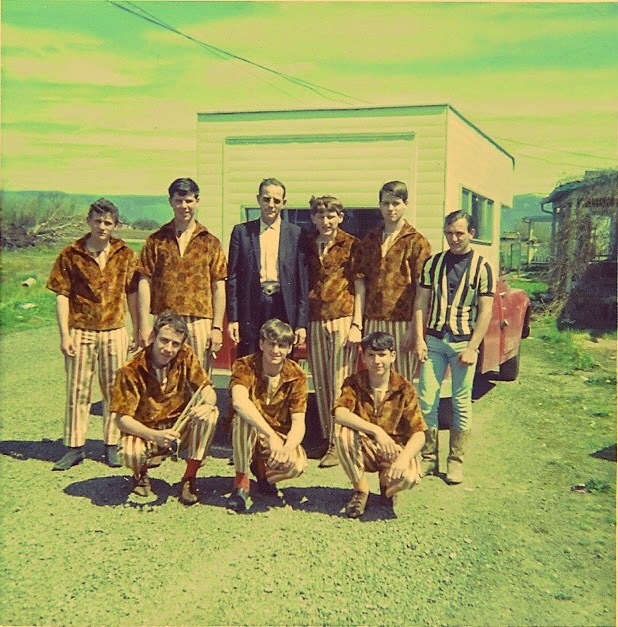 We seven boys were managed by George Radford, an upholstery shop owner and music lover. His son, George “Not Jr.” Radford was our sax player. Town Of Fools 45. 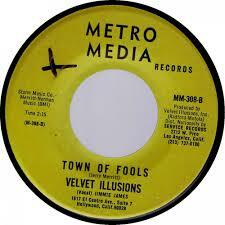 Written by Jerry Merritt; sung by your author, with the Velvet Illusions. Steve Weed with “Two-Ton” Tessie O’Shea, in Los Angeles, CA. So fifteen year old Steve Weed and a couple of the other boys began writing “Bigfoot”. I can’t recall if the song was finished that day, or if we spent a few days working on it. (We met with Mr. Radford seven days a week to practice/write/plan.) I do know that the song was polished and ready to record within a week. Now, here is where my memories differ from a couple of my old band mates. But this is how I remember it. Mr. Radford herded us into the canopy on the back of his pickup truck, drove us to Seattle, to Sound Recording, his studio of choice, which was located under the (to us anyway) totally incredible Alweg monorail. 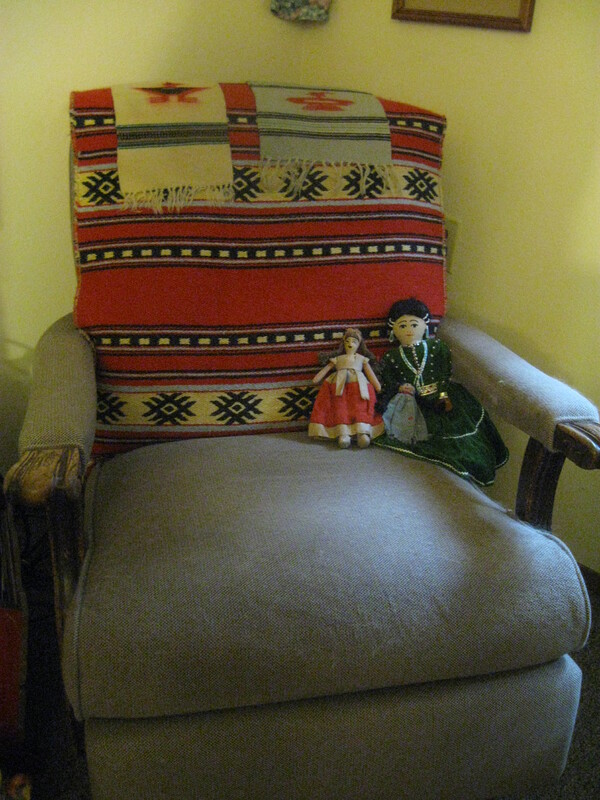 Having practiced the song over and over again in the upholstery shop, we knew it very well. Only a few takes were required for us to nail the recording. We then packed up our guitars, keyboards, saxes, drums and amps, threw them into the truck, and returned to Yakima. 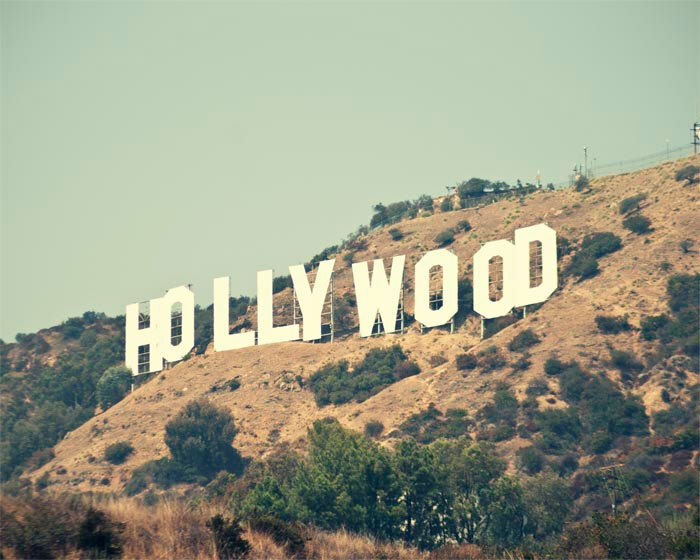 Soon we made our planned move to Hollywood, California, in order to seek world-wide fame and fortune. Mr. Radford had convinced our parents to shell out a couple of hundred dollars each, to help finance the trip. We relocated to North Hobart Avenue, which was just a mile from the center of Hollywood, where we set up housekeeping. And you know what? I never heard the “Bigfoot” recording again. We never played the song in concert. We never even practiced it. The way I remember it, “Bigfoot” was conceived, written, recorded and forgotten about. To this day, I don’t know why. – I didn’t know why we were told to write it in the first place; I was equally in the dark as to why it was forgotten about by our management. As I bang away at my laptop’s keyboard, it is now 2016. Forty-nine years have passed since the days when we boys toiled in Hollywood. Yes, toiled. 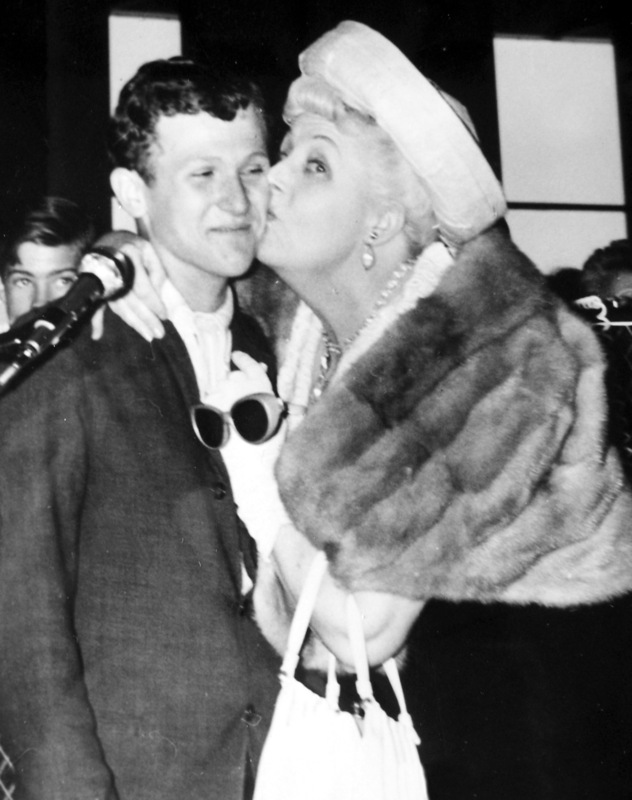 We were not there to live some dream, or to immerse ourselves in Hollywood glamour. We worked very hard crafting our music and doing PR work, in hopes of building a career; in hopes of accruing a music catalog which would last well beyond our teenage years. – And our music has lived on. However, as a group, we failed. We quit and returned to Yakima. But, occasionally I sit here in my rundown senior citizen’s apartment in Seattle, in my broken-down rocking chair, and I think about what might have happened if “Bigfoot” had been recorded and released. That song may have been the one to put the Velvet Illusions over the top. Because we were getting there. Really, you just never know…. Acid Head: our most famous — or infamous recording. The band made money playing concerts and selling records. However, we non-Radford boys were never paid that money. Mr. Radford kept it, in order to pay band expenses, as he put it. As it turned out, after we broke up the band due to differences with him, we had to return our guitars and keyboard to Lee’s Music Store in Yakima, because the payments had lapsed! Hmmm…. However, I subsequently learned that Mr. and Mrs. Radford helped finance Roger Patterson’s Bigfoot documentary! 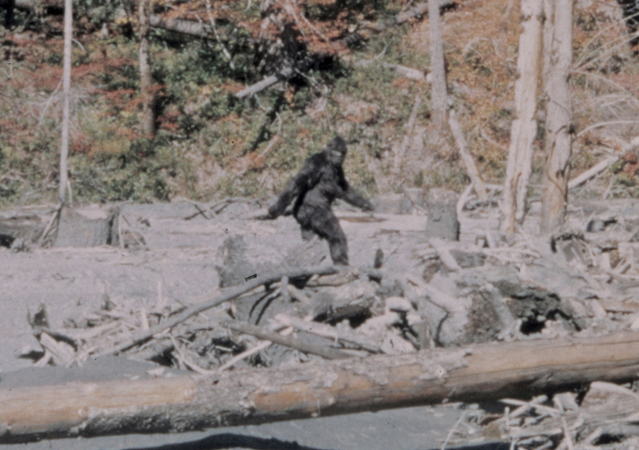 Yep, “Bigfoot: America’s Abominable Snowman” was partially paid for by our hard work. I’ve read Mrs. Radford’s sworn deposition, which is all over the internet (man, this story just gets weirder! ), wherein she states that the despicable Roger Patterson conned the Radford family out of a considerable sum of money. — I now realize that we were given the task of writing the “Bigfoot” song as part of some crazy scheme. Just recently, I learned there are three Velvet Illusions songs “in the can”. 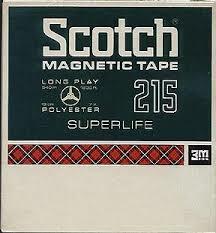 That is, the master tapes from the sixties still exist. But the songs have never seen the light of day – they’ve gone unreleased. And I wonder: was one of those songs “Bigfoot”? I don’t know. It’s really hard to remember exactly what happened in 1967. I wasn’t keeping a journal, writing all of this down, so that I could write about it in the second decade of the new millennium. 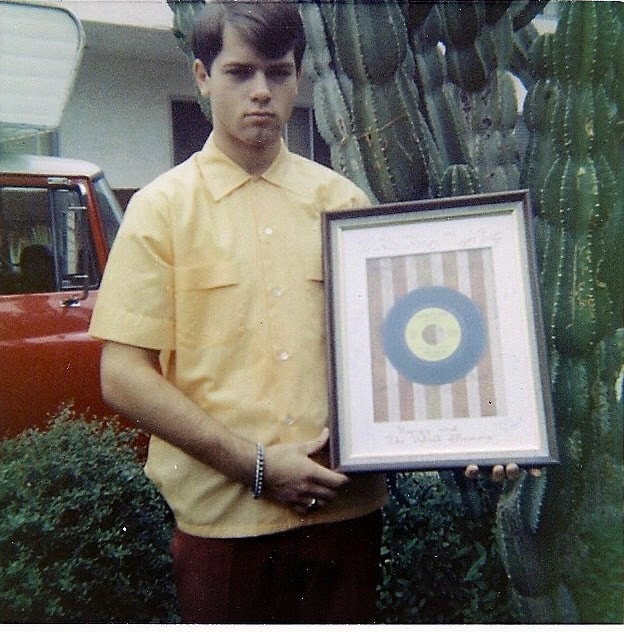 George “Not Jr.” Radford in 1967. A couple of us old codgers from the band begged our former sax player, our manager’s son, George “Not Jr.” Radford, to work with us to release those three songs. There are re-release producers all over the planet who would give their eyeteeth to help us with a project. But our former band-mate won’t do it. He says he just may do his own deal with a company, release the songs, and keep the proceeds to himself. So that particular vein may never get mined; or if it does, only George “Not Jr.” will find his El Dorado. By the way, I don’t know what became of my classmate, Ken Pettijohn, the hayseed who reported the Bigfoot sighting. I’ve read one other report which says his sighting was in ‘66 rather than ‘67. It seems to me it happened after we graduated in ‘67…. But time can play tricks with an old man’s memory. I didn’t put it in the story, because it’s just one more factoid, but another Yakima man named Bob Heironimus was supposedly the one who wore the Bigfoot suit for Roger Patterson’s 57-second film. I graduated from West Valley High with one Linda Heironimus. Yakima was a very small town in the 1960’s; I’m sure Linda, who has passed, and Bob Heironimus were related.